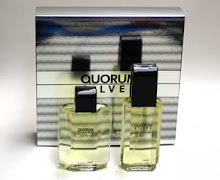 When I wrote my prior review of Basile Uomo, I was reviewing my splash bottle version of it, and I didn't know if I had the current version or an old version of the scent. 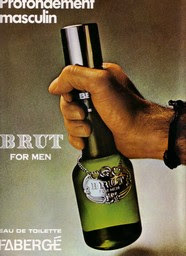 Since then, I've come to learn that the version in my splash bottle is an old version of Basile Uomo. Since then I've also purchased a spray bottle of the current version. Therefore, in keeping with my usual practice of reviewing current formulations of perfumes, I am posting this review of the current Basile. 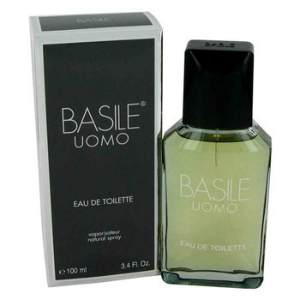 Let me start off by saying that I love the new Basile Uomo, and it is just as worthy of your hard earned money as the old. The two versions are very similar, but there are enough differences that are worth pointing out. Plus, because both versions are still available online, it's worth knowing what you're getting into before you buy either version. Whereas the old version has a dark green bottle, the new bottle is clear, with an olive green colored juice; the lettering on the bottle is the same. 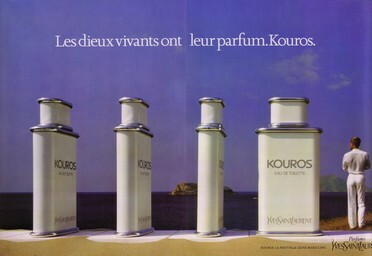 The new bottle is pictured above. First off, the new version is not quite as strong as the original. Don't get me wrong, this is still a powerhouse, but it's a bit more refined. That brings up another difference: the new stuff is a little less leathery than the vintage juice. As a result, the older juice is a tad heavier and thicker smelling than now. The new juice focuses a little more on the green herbal aspects, so it is a bit drier, and I like that. 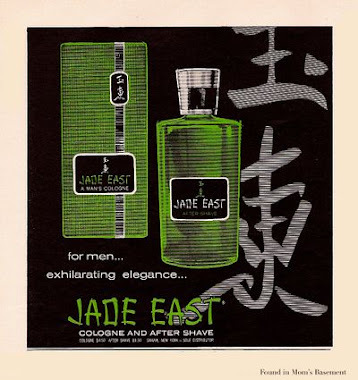 Powerhouse fans of this fragrance may be surprised to hear me say this, but here it goes: Basile have improved this fragrance by reformulating it. The current formula is slightly better. 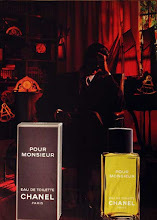 Whereas the original Basile was a heavy green morass of a scent (in a good way), Basile now fine tunes its herbal aspects, with a crisper smell and much more defined stages. The various stages of the scent - top notes, heart and drydown - are more distinct, yet they segue into one another seamlessly. Basile is still a powerful, virile and leathery fragrance, but its power is better counterbalanced with minty, pine-like notes than before. Make no mistake about it: vintage Basile is still one of my favorite powerhouse fragrances, and I will stock up any opportunity I get. But the new version is nothing to scoff at, and is a valued addition to my collection. Bravo to Basile for an excellent reformulation!